The Golden Knights could add even more talent. 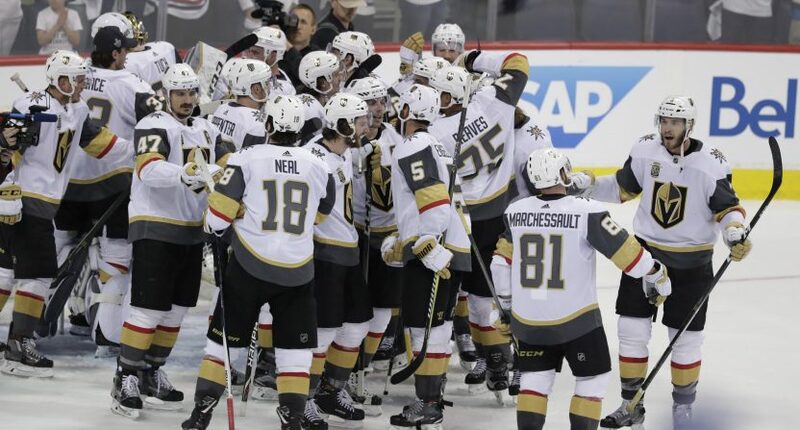 The Vegas Golden Knights have already done the unthinkable by reaching the Stanley Cup Final in their inaugural season. Regardless of whether or not the Golden Knights actually lift the Cup, we can all agree that this has been one of the most bizarre and improbable stories in NHL history. In fact, it’s apparently something that only happens once every 50 years. Mark your calendars for some new team in 2068 to make a crazy Cup run. Hopefully the Gary Bettman era and inconsistent, infuriating officiating will be a distant memory we can all laugh about by that time, but I digress. Back to the Golden Knights. As fun as the 2017-18 season has been for the team, don’t expect them to sit back quietly this upcoming offseason. The Golden Knights are positioned in such a way that they could be the team to talk about as free agency and trades start heating up this summer. Friendly reminder that Vegas has $24.8M in cap this offseason and a combined 8 picks in the first 2 rounds the next 3 years. That $24.8 million in expected cap space is outrageous. It’s even more ridiculous when you realize that the team’s active roster already has 19 players under contract. That’s not to say the Golden Knights will keep all 19 players, but it shows that they have a ton of wiggle room to make additions this summer should they so desire. In other words, is it time to start the Jonathan Tavares to Vegas rumors? Should we expect the Golden Knights to be linked to just about every player hitting the market? It’s within reason given the Golden Knights’ luxurious cap space. They could go out and land a player like Tavares and still have the room to make a few other changes. That’s the kind of luxury that any team would love to have. The naysayers will point at the NHL Expansion Draft rules and suggest that Vegas is only in this enviable position because of teams being forced to give up strong talent. Sure, the Golden Knights were placed in a position to perform well, but they also had to maximize and capitalize on every team’s decision. That’s a task that very, very few front offices could pull off. Now, with a large amount of success already under their belt, the Golden Knights will have to look to the future. How will they adjust their current lineup that has already accomplished so much? What kind of pieces do they need to not only be competitive again in 2018-19, but to set themselves up for years of success? Stay tuned. The Golden Knights have made a ton of headlines this season and that looks like it will continue into the summer months.